First unveiled to the world in early December 2013, the new ASUS GTX 780 Ti DirectCU II graphics card has finally arrived in Malaysia. Comes complete with 3GB worth of 384-bit GDDR5 RAM that runs at a clock speed of 7.0 GHz, the new card is the result of ASUS own implementation over NVIDIA’s own GeForce GTX 780 Ti reference design. Of course, the most obvious of them all is ASUS proprietary twin-fan DirectCU II thermal solution which allowed the card to operate at a temperature that is 20% cooler than NVIDIA’s reference design. 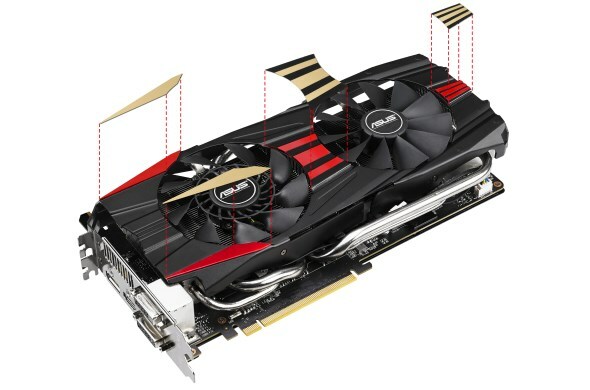 The company also claimed that their GTX 780 Ti Direct CU II card is three times quieter than the reference design too. Additionally, the card’s GPU clock speed is also slightly higher than NVIDIA’s reference design at 1020MHz and ASUS have equipped the card with their own DIGI+ voltage regulation module to increase its stability as well as durability. Last but not least, each card comes with a set of red and gold stickers for users to decorate the card to their own liking. 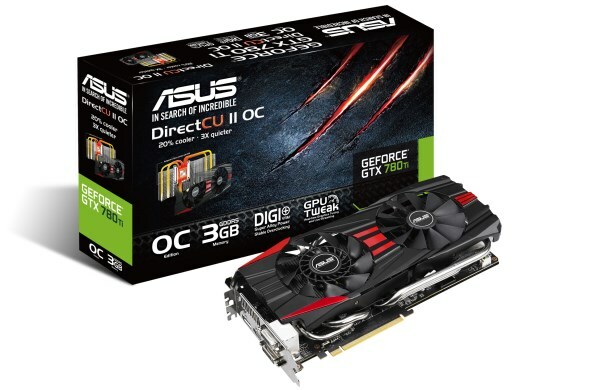 The new ASUS GTX 780 Ti Direct CU II is available right away for RM 2799, so contact your favourite retailers for further information if you feel the need to have your hands on the new card.